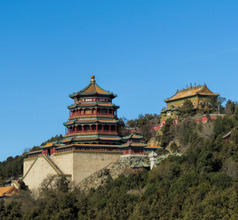 Beijing, the vast capital city of China, has a 3,000-year-old history of Imperial style and grandeur. The city boasts some of the richest collections of historical, cultural, and royal relics compared to any other city in the nation. 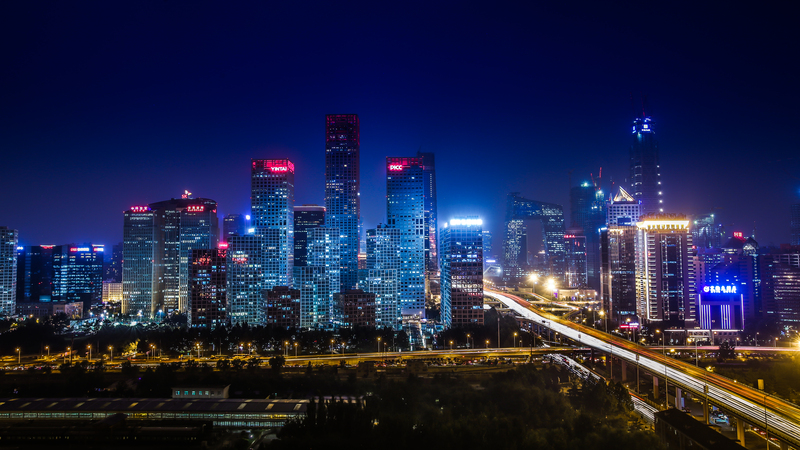 During the transition from the times of ancient kingdoms to the modern day People’s Republic, Beijing played a vital role in making China the prosperous country that it is today. 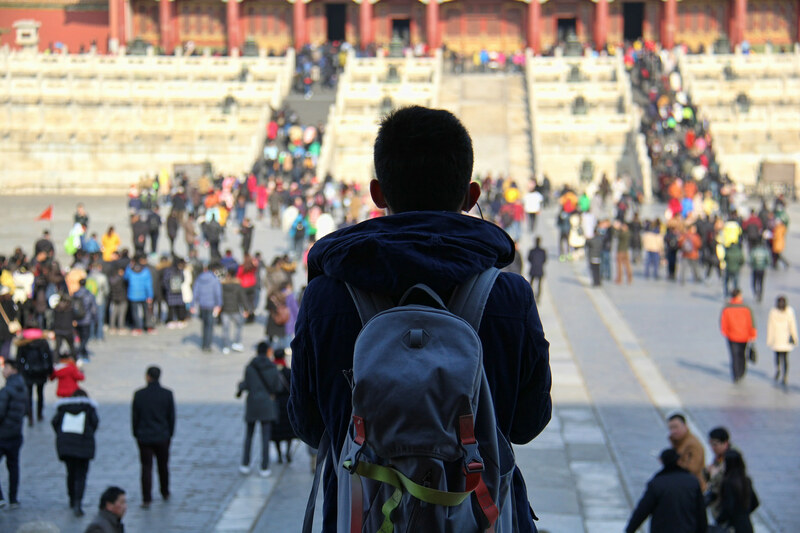 Nearly 297 million domestic and overseas tourists visited Beijing in the year 2017, making it third most-visited city in China after Hong Kong and Shanghai. With foreign dignitaries visiting the city even during the Imperial era, there was and is a palpable aura of hospitality and friendliness in the city. 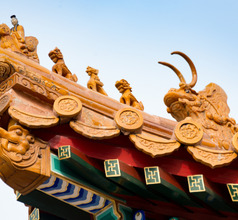 The city of Beijing was known as Peking until it was changed in 1958. The Zhoukoudian archaeological site located nearby is a world famous tourist attraction due to its anthropological significance. The remains of Homo erectus, popularly known as “Peking Man” were discovered here. These remains are believed to be 680,000 to 780,000 years old. 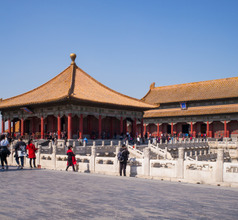 The iconic structure that defines Beijing is the Forbidden City. 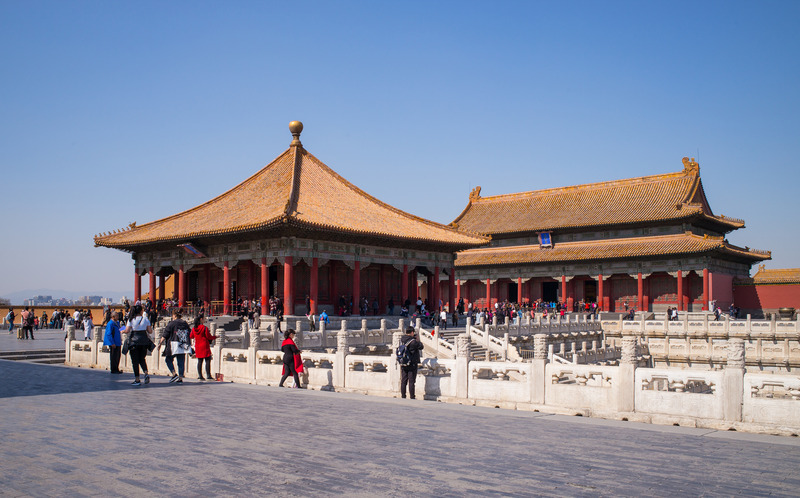 This was the imperial palace during the Ming and Qing Dynasties before China became a People’s Republic. Spread over 720,000 square meters, it is believed to be the largest palace in the world. At the center of the city, Tiananmen Square has been the scene of both ancient and contemporary history, where the gigantic portrait of Mao Zedong, takes center stage. It was the scene of royal convoys during the Imperial regime as well as major political events and military parades in modern times. 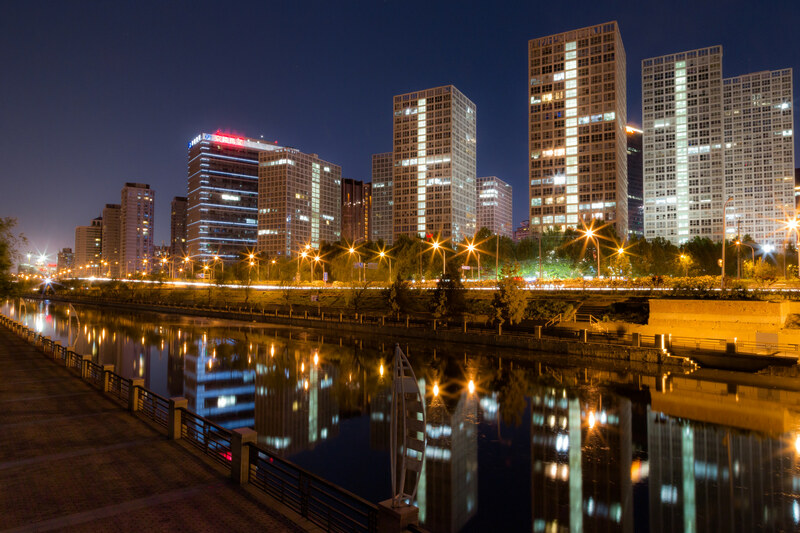 A majority of the upscale 4-star and 5-star hotels are located in the urban areas of Dongcheng, Xicheng, Beijing Central Business District, Chaoyang, and Haidian. These localities are within easy reach of the Forbidden City and other tourist attractions. They have state-of-the-art décor and provide classy amenities like spas, recreational centers, business centers, entertainment zones, swimming pools, concierge services, and more. 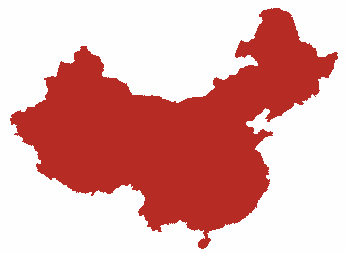 The mid-range hotels too are mostly located in Dongcheng, Xicheng, and in the suburban areas. They offer various amenities to ensure that a visitor’s stay is luxurious, comfortable, safe, and enjoyable. 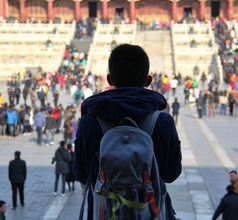 The tourist-friendly culture of the Chinese people is reflected in their tourism and hospitality services throughout Beijing and other parts of the nation. The city also has its fair share of youth hostels and International youth hostels that provide suitable accommodation at bargain prices. The accommodation they provide is very basic with not many in-house amenities. 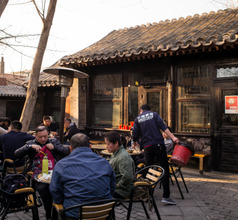 But they are usually located near public transport connections, convenience stores, and fast food takeaways that serve popular local delicacies. 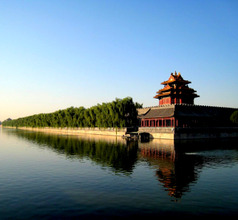 Besides the Forbidden City, other ancient relics include Tiananmen Gate (Gate of the Heavenly Peace), Tiantan Park (Temple of Heaven), the Ming Tombs near Tianshou Hill, the Old Summer Palace, Yonghe (Lama Temple), Jingshan Coal Hill Park, Lugou Bridge (The Marco Polo Bridge), Beihai Park (Imperial Garden), Beijing Temple of Confucius, Fayuan Temple and Buddhist Academy, the Great Wall of China at Badaling Pass, Beijing Ancient Observatory, etc. Today, these attractions are museums maintained by the State and are open to the public. 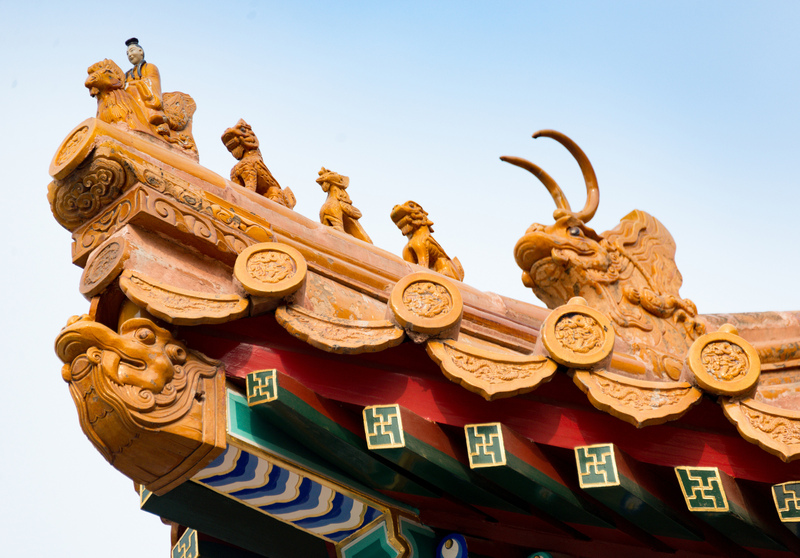 There is an awe-inspiring collection of artifacts like Chinese paintings and items made of ceramic, bronze, precious metals, jade, etc. They showcase the regal lifestyle of the Ming and Qing Emperors of the old days. 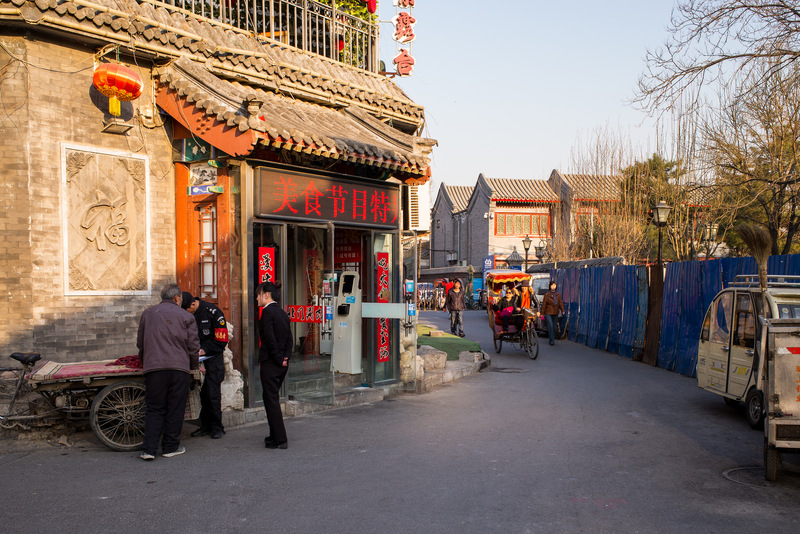 Being a large metropolitan city, Beijing has countless markets, shopping malls, entertainment zones, amusement parks, etc. 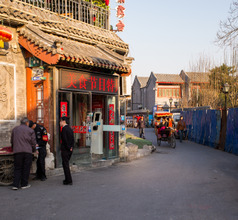 The 700-year-old Wangfujing Shopping Street is the best place to shop in Beijing. It has retail outlets selling the best branded gear as well as bargain items. There are upscale restaurants as well as small cafes serving delicious local delicacies. 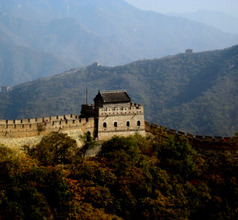 Beijing has some of the best activities for families with kids and for large groups of tourists. Some of the places where one can spend a great fun-filled day are the Beijing China Science & Technology Museum, Beijing Zoo (giant pandas), Beijing Aquarium, Happy Valley, Shijingshan Amusement Park, Natural History Museum, China Aviation Museum, Beijing World Park, Beijing National Stadium, and others. The large egg-shaped building of the National Centre for the Performing Arts, the Water Cube National Swimming Centre and Birds Nest National Stadium, 798 Art Zone (art galleries), etc. are a few modern architectural marvels that are definitely worth a visit. Not only do they look awesome but they also contain museums and entertainment zones for the benefit of visitors. The Beijing Metro (Beijing Subway) is a urban rail transit system for Beijing, China, and one of the 14 members of the international subway Alliance (CoMET). 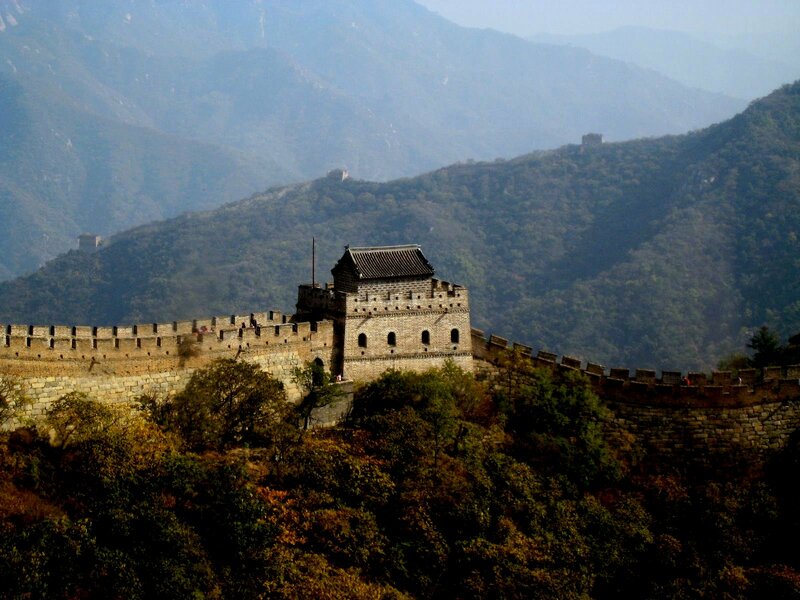 Its first line was officially opened in January 15, 1971, making Beijing the first city in China to open the subway. As of December 2017, there were 22 subway lines in Beijing metro line. All of them used the subway system, covering 11 districts in Beijing, with a range of 608 kilometers, 370 stations, second mileage in China and second in the world. As of December 2017, 17 lines of Beijing Metro were built, a total of 320.8 km. By 2020, the Beijing Metro will form a rail network consisting of 30 lines with a total length of 1177 km. In 2016, the Beijing Metro had an annual passenger capacity of 3 billion 25 million passengers, with an average daily passenger flow of 8 million 247 thousand passengers, with a maximum daily passenger volume of 10 million 523 thousand and 600 passengers. From December 23, 2017 onwards, the whole rail network of Beijing rail network purchased tickets online and picked up stations. Since April 29, 2018, the Beijing rail transit network (excluding the western suburb line) has been able to carry out the two-dimensional code. From December 28, 2014 onwards, the new price of public transport: 10 km (inclusive) of 2 yuan, 10 km or more, plus 1 yuan can take 5 km. In 2014, there were 877 lines of electric vehicles in Beijing, 64 more than the end of the year; the length of the operation line was 20347 kilometers, up 659 kilometers from the end of the year; 24083 operating vehicles, up 491 vehicles at the end of the year, and 4 billion 700 million passengers per year, down by 3% over the previous year. In 2013, the average daily transport capacity of taxi in Beijing was 1 million 900 thousand, accounting for 6.6% of the total travel volume and the mileage utilization rate of about 68%. Since June 10, 2013, the Beijing taxi price standard has been adjusted. The new taxi price is 13 yuan within 3 kilometers, and the basic unit price is 2.3 yuan per kilometer. The fuel surcharge is 1 yuan per operation. Low speed and waiting fee charge 2 kilometre rent (excluding empty driving fee) every 5 minutes, morning and evening peak periods, and additional 1 kilometre rent (excluding empty driving fee) at other periods. The appointment service fee is 6 yuan in advance of 4 hours, and 5 yuan within 4 hours. One way passenger traffic is more than 15 km, part of which is charged by air travel fee, basic unit price plus 50%. Previous Beijing's main railway station, Beijing station is located quite central, just to the south-east of the city center. 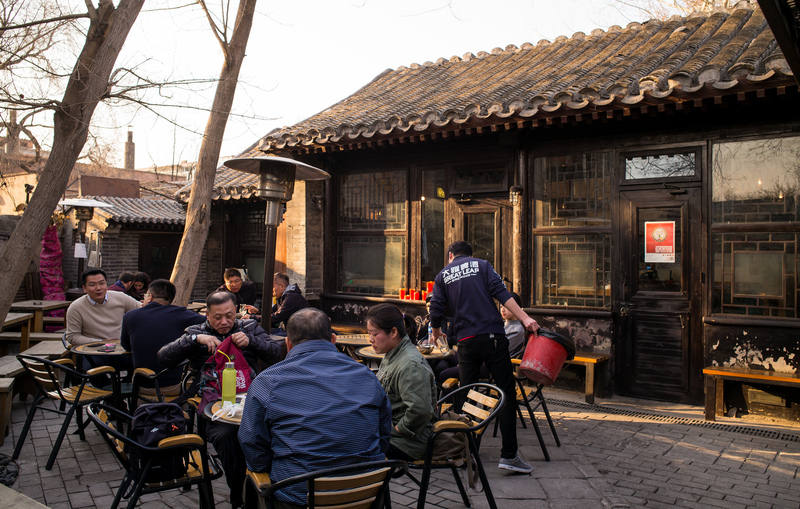 These days it has largely been replaced by Beijing South and Beijing West Railway stations, although it still sends trains to North east China, as well as non-high speed trains to Shanghai. It is also the terminal for international trains to Russia and North Korea. It is served by Line 2 of the Beijing Metro system. 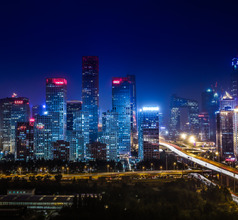 Located to the west of the city center, Beijing West serves both high and low speed trains, and is the terminus for some important routes including Beijing to Guangzhou and Beijing to Kowloon. It can be accessed via metro lines 7 and 9. 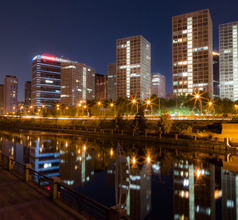 Located to the south west of the city center, Beijing South serves as the main terminus for high speed trains, although some non-high speed trains also stop here. Major train lines including the 350km/h Beijing-Shanghai line and the Tianjin-Beijing line terminate here. Both Metro lines 4 and Line 14 pass through the station. China’s busiest airport, Beijing Capital International Airport has three terminals dedicated to different airlines and equipped with all modern amenities. Almost all local and international carriers offer this destination to passengers. Accessibility from the city is covered by all modes including the rail link aka Airport Express (cost: RMB25) and public bus (cost: RMB30). You can also drive to the airport via the Airport Expressway, 2nd Airport Expressway, Northern Airport Line or Southern Airport Line. The oldest in China, Beijing Nanyuan is a dual use military/ public airport having 2 terminals. Basically, a local airport, it is home to China United Airlines which serves routes all over China with top route being Dongsheng. 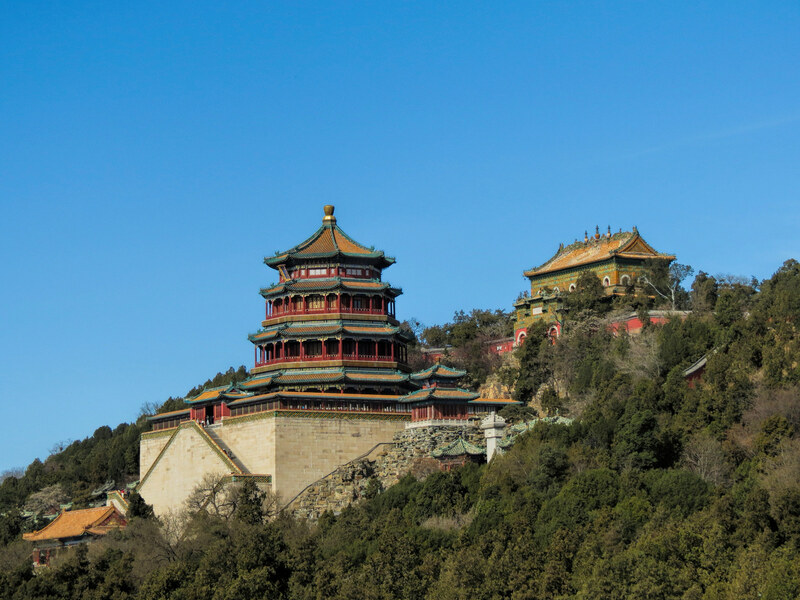 There are four shuttle bus services that go to different areas of Beijing (cost: RMB16/ free for same day ticket holders). Local buses, Line 501 and Express Line also stop here. The cost is around RMB 24. The high-end hotels in Beijing City have some of the best multi-cuisine restaurants. They serve International fare keeping in mind a large number of overseas tourists. The mid-range hotels also cater to varied tastes and ensure that every visitor to China feels welcome and happy. Their gourmet meals are a pleasant blend of International and Chinese dishes. 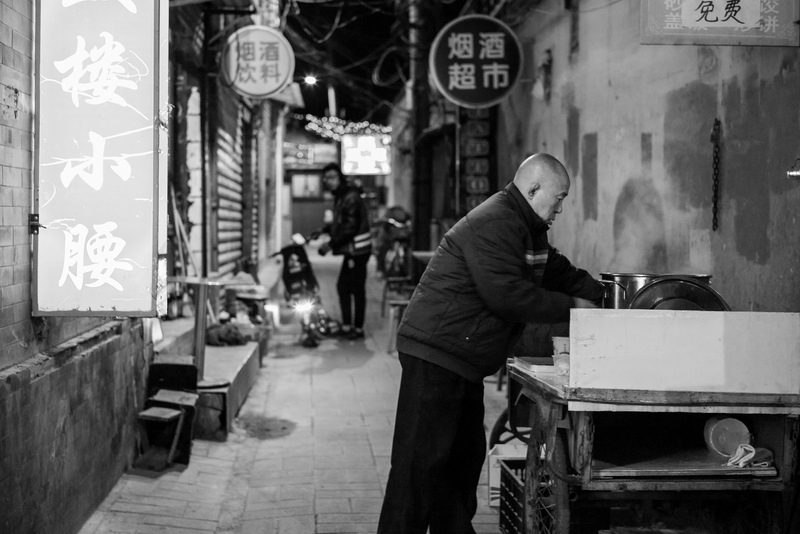 For those who have a more adventurous palate, the Wangfujing Snack Street, Guijie (Ghost Street), Niujie Muslim Snack Street, Fucheng Street, Nanluoguxiang Street are the some of the best places to hang out in the evenings. 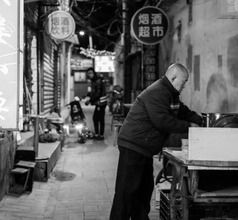 They serve delicious snacks and meals that are very popular with the locals as well as tourists.